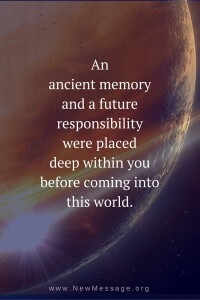 An ancient memory and a future responsibility were placed deep within you before coming to this world. You now stand at the threshold of a universe full of intelligent life. You likely have a recognition of life in the universe because your awareness and curiosity are born of a Greater Community origin and heritage. This is a recognition that exists far beyond your intellect. Having this deeper resonance and connection to life in the universe is very important and will assist you in gaining a profound sense of destiny and contribution in the world and within the Greater Community itself. 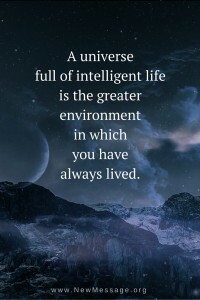 The greater environment and reality in which humanity has always lived and in which your world has always existed must become your concern now. 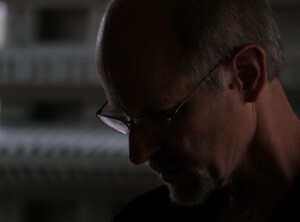 People are projecting their hopes, fears and wishes upon the meaning of life beyond this world. Many people are misunderstanding the presence of the alien races active in the world today. People today are increasingly vulnerable to those forces that oppose the freedom and spiritual advancement of humanity. This is the challenge that is now before all people – seeing the situation clearly, soberly and with great courage. 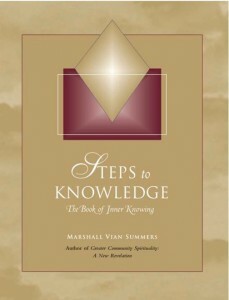 This Greater Community education and awareness, never before available, opens the doors to clarity, perspective, insight, understanding and a powerful spiritual preparation that is essential for success. 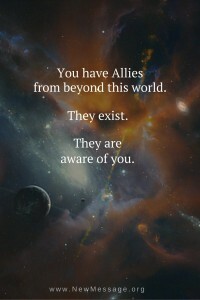 The Allies of Humanity: You have Allies from beyond this world. They exist. They are aware of you. They send their hard earned Wisdom. You have allies in the universe though they are not visiting your worl for humanity is not ready to establish relations with other nations in the universe. Your Allies are here to provide wisdom, guidance and the perspective that humanity will need to comprehend the neighborhood of space into which you are emerging and what advantages and disadvantages there are. Read Who are the Allies of Humanity? You carry within you a spiritual power and intelligence that holds the key to finding and fulfilling your greater contribution. Perhaps you have felt the stirring of this inner power within you. Perhaps you feel strongly that you have a calling to serve the world at this time, but are unsure how and where this service will emerge. Preparation is now required. Those who will receive and accept this challenge of learning about Knowledge and Wisdom in the Greater Community will be the great beneficiaries, not only for themselves but for the entire human family. Though humanity has studied alien life and our local universe for many decades, there has been little revealed about the reality of life in the universe. As a result, the communication and education about this must come from God and, secondarily, those Allies who have been called by God to assist you in this education. Due to this great need, God has sent a Messenger, Marshall Vian Summers, to receive this vital and timely message for humanity. He is the one sent into the world to bring what humanity needs most – a spiritual pathway and education born of the Greater Community itself. What is the Free school? 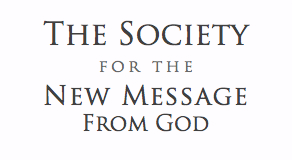 The Free School of the New Message is an online global community of people who seek to learn and live the New Message from God. Together, we will be the direct recipients of the New Message and assist the Messenger in bringing God’s New Revelation to the world. The Free School offers an environment of individual study, study partnerships, international gatherings, broadcast events and community interaction to deepen our experience of the New Message and connect us with others around the world. Sign up for the Free School here. Sign up for the free ebook Life in the Universe and receive inspiration and news by email. Life in the Universe is a window into the living story of our universe: the realities of trade, travel and conflict within a Greater Community of intelligent life; the birth and death of civilizations across the stars; and the greater Plan and Purpose of the Creator who oversees the spiritual progress of life in all galaxies. It is only through Divine revelation that we could come to understand these things and to learn about the reality and spirituality of life in the universe.